Anti-vibration mounts are meant to reduce vibration and shock protection. 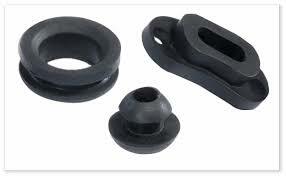 Lusida Rubber Products is presently the global supplier of shock and vibration isolation across the country. They have in store more than eight-thousand products. The official website of Lusida includes an E-Store that let the users to browse seamlessly. In addition pricing, availability and online purchasing can be executed with ease. They are well-equipped with products like noise isolation mounts such as leaf springs, shaft couplings, HVAC hangers and Air springs etc. Most machineries and equipments comprising of moving parts are subject to vibration. This would affect the efficiency of the machinery and so in order to prevent it, vibration dampeners are used extensively. Apart from machinery, vibrations can also affect structural edifices. In the case of the latter, it can be due to natural factors like earth quakes etc. There are two kinds of vibrations namely passive and active. As vibrations are in the form of waves, to prevent passive vibration, mechanical linkages help in arresting it. Active vibrations on the other hand can be reduced and nullified by the use of sensors and actuators. Passive vibrations mostly make use of materials like rubber products which absorbs these vibrations. On the other hand, active vibrations depend upon electronic devices to reduce the impact.